Comments Closed *Winner Chosen* The blog tour theme is A Family Affair. My Stick Family from WiddlyTinks.com The cats are the center of our world. Aren't most cats though? They sort of rule the roost. Our cats are not real interested in fabric but they sure do love laying on quilts! Speaking of quilting, machine quilting has always been my weakness. piecing quilts was easy with my sewing skills. Machine quilting did not happen so easily. I have made the choice to have it done by a profession. Well most of the time. My blog readers have seen me try it here and there. I was pretty stoked to try my hand at machine quilting again. I read through the book to generally get a feel for how she approaches quilting. The cover quilt is my favorite with all the orange fabric. I can't wait to try her techniques on my next quilt. Natalia is such a talented quilter that I sent some of my book quilts to her! you can visit the other blog tour participants. and I will choose a winner on October 19th . Hi Vickie well my skills are in their baby stages...I may try my hat at the little baby quilts but nothing bigger. I think I have a hard time controlling everything, the quilt, the speed of the machine etc...just hope to win a copy of this book that seams to be helping allot of people out. Thanks for the chance.. I have been fmq about three years, but just squiggles. Now I am ready to try some designs like flowers and hearts. I found it helps to practice on non-threatening articles like potholders. Also, after a quilt is washed, even my quilting looks fine! I have tried using my DSM to quilt and all I was successful with was straight lines, which gets boring pretty quickly. I would love to win this book to get techniques and inspiration. My quilting skills in general are ok, but when it comes to more creative free motion quilting - yikes!!! I so want to learn how to quilt swirls - maybe this book will do it! I'm loving this blog hop, and can't wait to get this book! I just started machine quilting a year or so ago. I'm still at the straight line stitching stage. I need this book to give me inspiration to try FMQ. My machine quilting skills need improvement and more variety. Thanks for the giveaway! HA What machine quilting skills! I can sew a straight line. I want to stray from the straight path. I want beauty!! I don't have any machine quilting skills! But really want to learn. I have a couple of designs that I am pretty darn good at FMQ, but I need to expand my repertoir. This book looks like it would do just that. My skill is like a one day old baby. I got frustrated and started to think that I will never get it. However, after following this thread of family affair give away and reading the experts' experiences, I got my spirit liftup again. I still keep one quilt that I want to machine quilt myself someday and I would love to win the book. Thank you for the opportunity. Well, my skills could use some definate improving! I'd be over the moon to win this book. My machine quilting skills have only one way to go - improve. I love Natalia's quilting style. I pretty much have no skills but would love to get some! This looks like a great book! I am much like you. I have sewn for many years. I cna sew clothing, bags, and stuffed animals. But my favorite has become quilting. I didn't quilt by machine until two years ago. I mostly quilted by hand. Now I own a longarm and I love it. I can't get enough. I am a beginner FMQ and I have completed four baby quilts in the last year. I tend to do meandering and a few little heart shapes. This book looks wonderful. I'd love to add it to my library. Thank you for the generous giveaway. I've been practicing free-motion on potholders and I'm ready to make the leap to baby quilts. This book couldn't come out at a better time! Would love to try some of the patterns in this book... they look yummy! I've taken a class but still afraid of FMQ. I am a beginner at FMQ. This book would be a big help! Thanks for this giveaway! HELLO! WELL I'D LOVE TO TELL YOU I'M PRETTY CONFIDENT WITH MY FM,BUT I'M NOT . . YET . . STILL PRACTICING AND WORKING ON IT! MAYBE THIS BOOK WILL HELP! THANKS! My machine quilting skills are not even born yet!! This book has me interested... I am nervous as all get-out but winning this book could push me onto the stage! Thanks for the chance. I have stippled 3 baby/child quilts and have a large-ish queen size top nearly complete. And then I will have to quilt that. Ack! The only articles that I have done are small. Runners and baby quilts but that is just meandering or straight lines.I need to practice, practice and practice. I've had my HandiQuilter for several years now and I still don't seem to have mastered it. I first tried machine quilting in the early 70's... without much success, until I discovered the 'walking foot' and then I really went to town! Since discovering free motion quilting, I have not returned to hand quilting since 1997. Last week, I stipple quilted 10 baby quilts for Quilts for Kids. They are lacking. I have been renting time on a long arm lately because I fear the stress that comes with my machine. I think I just need more practice and more tips! Gosh, I'm a beginner so no skills as of yet, hehe. Positive attitude though and lots of practice! Thank you for a super giveaway and a chance to win an awesome book. I am trying very hard to learn to machine quilt. It's really inhibiting to me to think of making a big quilt and then sending it off to someone else! My skills improve every day. I have admired Natalia for many years now. Glad she wrote a book to share her skills. I have been FMQing for about 2 years and I do okay, but I want to learn how to do more designs and how to work with larger quilts on my home machine. This book would really help me. Thanks for the chance to win a copy. I have no skills when it comes to machine quilting LOL. Actually, I've never tried it. My skills need a lot of help. About all I can do is a straight line on a table runner after that it's all down hill. I love machine quilting but still have a ways to go before I get any good at it. This book looks like a good resource to improve my skills. My machine quilting skills? hmm. Could use a boost. I'm getting pretty good a grid quilting (which I actually like), but I really need help with more free-form designs. My machine quilting skills - ummmm stippling. That is it! I'd like to learn to let go and do something else!! I TOO sent a quilt for Natalia to work her magic on. I wish I was wealthy enough to quilt by credit card all the time. I need this book to help get me away from just doing swirls and hearts or stars. Thanks for sharing your thoughts on the book. I have just started machine quilting and hope to get better at it. Thanks for the giveaway! I am at the point that I need to vamp up my design skills. I can free motion, but need help with what to quilt where and what design would enhance the quilt. I am a beginner in FMQ...and man do I NEED this book!! Thanks for the chance to win a copy! My machine quilting skills are a mixed bag. There are some things that I have tried and practiced and can do a pretty respectable job. I can stipple, I can follow a marked pattern, I can do lines. But there are a long list of other things that I really need to practice so I can do them successfully. Pebbles and Feathers are a couple things I especially want to learn. I guess I might be an advanced beginner but I really want to learn to FMQ and master the feathers etc. Thanks for the chance to win this amazing book. Great looking blog you have. Also great looking book you are giving away. My quilting skills are minimal and this book looks like it could help them out a lot. I have personally machine quilted all of my quilts, numbering around 12 by now. I am pretty good at stipple, but I need to break out of my rut! Maybe this book can help me do just that. I need more practice, I almost did my granddaughter's quilt on the machine, but chickened out! My experience is very limited. I have done a little on small projects, but I failed miserably on a big quilt that I tried and had to unpick it. It was not very much fun. I would really like to learn how to do a much bigger project, maybe not a big quilt, but something a little bit bigger than what I have done. I can't wait to see what's in this book. 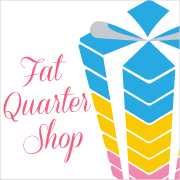 I'm a free motion quilter who is entirely self-taught with some tips & tutorials from the web. Natalia's book is just what I need to push me to the next level in both design and skill level. Thanks for the giveaway! My machine quilting skills for FMQ are pre-beginner. That is why would like to win a copy of the book. I have attempted straightline quilting for small quilts albeit not that straight in the lines.. I'm definitely a beginner in the machine quilting arena. I can do a pretty good stipple but that's about it. I think this book would help me a lot! I would be considered a beginner! I'm teaching myself through wonderful blogs and books so this book would be an awesome addition. Thanks for the chance. My machine quilting is limited to what I can do with my walking foot! I need to learn to free motion but am too scared to! I am a scaredy cat machine quilter! I have taken a class, but all I really do is small wall hangings or baby quilts. And those usually only have straight or wiggly lines! I really need help! If I want it to look nice I do straight lines ....if its something for me I stipple. I need lots of practice. i've used straight lines or wavy lines in my quilts, but i try fmq on practice layers ... without much luck. i'm sure enjoying this book blog, and hope to win a copy! thanx for the opportunity to do so. I have sewn quite a bit but have never free motion quilted. I have several quilts ready to be quilted but am afraid i will mess them up, so I just start another one and hope somewhere along the line I will get the others quilted. Would love to have a copy of this book, everything I have read about it is great. I must say that I learn something new every time I do some FMQ. I would love to learn it better. I've just started to try to learn FMQ by watching youtube videos. My first attempt was disappointing, to say the least. I need to continue but...it takes time to learn a new skill! My FMQ skills are emerging. I mostly focus on smaller projects until I get up the guts to work on a full-size quilt. Thanks for the awesome chance to win! My machine quilting skills are not that great. I have tried several times, and have finally been advised that I probably have been using totally the wrong batting. I'm stoked to try again - when life slows down a little! I'd love a copy of this book - I'm sure I could learn a lot! LOL I don't have any machine quilting skills unless stitch in the ditch counts! ;) I've tried FMQ once on my machine, and it was not good! I've stippled once on my MIL's Babylock, and that was actually really easy. But I have a basic machine here at home, and I really need to learn how to FMQ on it--this book looks like what I need! Thank you! My FMQ skills are fair - not poor, as they used to be, but not great either. With more practice - and Natalia's book - they will get better! On a good day, if I warm up ona practice sandwich, I am a beginner FMQ. I can do stipples and swirls. I would like to learn how to do more. I am working on my machine quilting skills. So far I can mostly do stitch in the ditch or any kind of stitches using a walking foot. Not very good with free motion. I just don't seem to have enough control or consistency. Would love to check out Natalia's book. She is such an artist. My machine quilting skill is about zero.... I've always wanted to learn and bought a few books, but did not know where to start. Maybe this is my chance~ Thank you for the opportunity!!!! I have not machine quilting skills at least of the free motion kind as I have not tried it yet. I have done stitch in the ditch but I really want to do the free motion. I am just getting started. I just finished my fourth baby quilt. It is so much fun, but I tense up. Practice practice practice! I only know how to stipple but am excited to learn more! I have just about mastered a meandering pattern so now need to expand my repertoire a little. I think this book would help me greatly to do that, looks such fun! I have bee sewing for about 25 years. I have always loved making quilts and fmq is new to me. I have been practicing my fmq skills for about a year. My skills? Well, it depends on who you ask. With several years experience, I hope I'm better than a beginner, though not at fmq (it's a new avenue for me) and I know I'm not as good as a professional. So that leaves me to teach the beginners and learn from the pros. I'm so very thankful to the pros for sharing their talents!!! I'd like to progress beyond straight line quilting!! 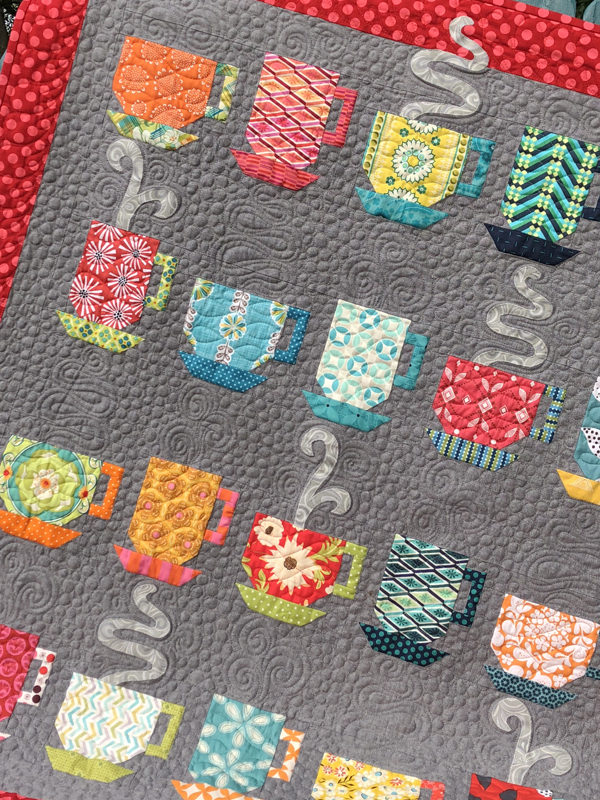 I really enjoy doing FMQ, but would like to get better at it, naturally...just blogged about it and shared some of my FMQ work on snack mats a few days ago. Sure would love to win this book. Thanks for the chance. I would love to own this book as I want to learn how to free motion quilt. I've only quilted on my machine once. It was straight vertical lines and it still didn't turn out the best. I'd love to learn how to FMQ. I would love a copy of this new book. It sounds like just what I need to learn how to free motion quilt. Natalia's book and practice will improve my not so great free motion quilting skills. All I can say is that I need to work at it. Thank you for this great giveaway. Have a super great sewing, stitching and quilting day! Hi Vickie! I'm not sure I have any machine quilting skills are all! LOL I've never had anyone to actually sit with me and teach me (show me), so the little I do is what I've taught myself and I'm kind of getting tired of them and would love to move on to more "complicated", more "intriguing" quilting. I have read other books but by the time I finished reading them I was like "What?" Natalia's book from what I've read about and researched takes you from step 1 to the very last step. And she's just a doll! I'd love to meet her. lol Thanks so much for chance to win a fantastic book!! Thanks for the opportunity to win, Vickie! My machine quilting? hahah. Straight line only. Still trying to work up the guts to actually FMQ a quilt! 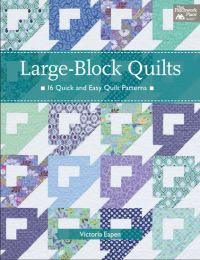 I'm mostly a straightline quilter so I would love this book!!! I just quilt with straight lines so far. I have just started FMQ and would love to get my hands on Natalie's new book. Thanks. Well.......I'm just saying....Boy do I need lots of help! Thanks for the chance to win a great book of info for MQ. Skills? I wouldn't call them that. I am a beginner but trying!! Quilt math, no problem. Quilt piecing, no problem. FMQ? Disaster. It looks so great and I really want to do it but I need help. I have only done straight line quilting. Now recently retired, learning to free motion quilt is my goal. I've studied many videos, learned different techniques, now I just have to dive in and practice! My machine quilting skills are nil but I am hoping after I win this book to not be so intimidated. Thank you for the opportunity. I can free motion some easy designs but would love to learn how to do more. I am just a beginner FM quilter. <ost of my quilting is straight line at the moment. I have tried FMQ one wall hanging and that turned out ok, but I am always too nervous to tackle a big quilt! I can piece and patch on the machine but I'm a beginner at free motion quilting on the machine. Thanks for this give away !